My photos of the log cabin aren’t keeping up with where I actually am! Imagine: another green strip on the left, a red strip on the bottom, a yellow one on the right. The last two I did tonight at SnB. I wore out my finished wool/silk top-down raglan today! Fastest sweater ever – less than a week from start to finish. Photos tomorrow. I learned today that an old biology teacher of mine, Mr. Sutherland from Earl Haig S.S., passed away yesterday. He was a great teacher, and hilarious in that quiet way. I don’t know what happened, but I know he’s made a great impact on a whole lotta kids. Damn, you’re a quick poster! It was great meeting you. Sorry I wasn’t quite so energetic as usual. Waking up at 4:45 will do that to a person! Your blanket is looking AWESOME. I love how you have cool colors on one side and warm colors on the other side. It is very pleasing! Everything you knit is so perfect. What a great blanket, and I cannot wait to see the sweater. I hope we will be able to buy that pattern. I absolutely love what we have seen of it so far. My kind of design. Beautiful! Puts my LC to shame :( What yarn are you using – I LOVE the colors! this is just an awesome looking blanket! log cabins seem to be very addictive! You never cease to amaze me. 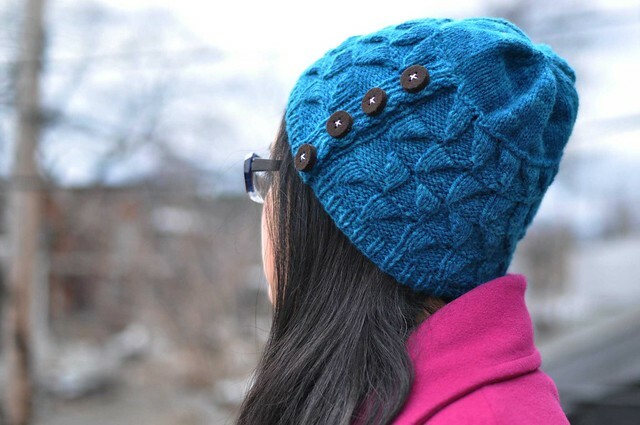 You knit so fast, and the colours here are just gorgeous – I particularly like the outer ring. I also wanted to comment on your also gorgeous raglan, where the yarn is just beautiful. Lovely work all round! Oh Oh Oh, sheer and unadulterated beauty! Those colors work well together. I love the colors, and how the handspun gives each block some added depth. It’s gorgeous, and I’m jealous! Great blog, too. Found you a month or so ago, and have been enjoying seeing what you’re working on. beautiful blanket. do you cast off when finishing each block? and do you then pick up stitches through both loops or just one?